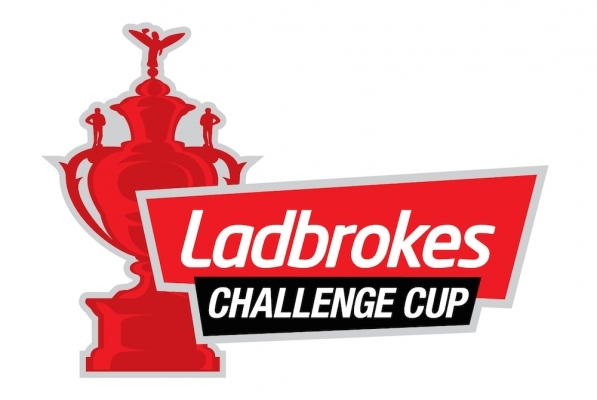 The draw for the fifth round of the 2017 Ladbrokes Challenge Cup saw the introduction of the four Super League sides who competed in the middle eights competition in 2016. The draw was broadcast live on BBC 5 Live's Breakfast Show, and across other BBC media, with the teams being drawn out by rugby league league legend Jason Robinson, and Breakfast Show presenter Rachel Burden. Damn, some cracking ties there. Leigh v Rovers and Salford v Toronto will both be very interesting. How many of these will be televised, does anyone know? Did the Rugby League loving Rachael Burden talk union with Robinson? Of course she did. Just couldn't help herself. And she also referred to the draw for the Super League cup and got the Wigan Widnes cup final score the wrong way round. Hmm, they've shown at least one match every round so far (online), hopefully they keep that trend going. Shame they are not jumping at televising a round early, but the costs shoot up. I'd be more than happy to watch a game each day however through the website.